Nirvair Singh Khalsa began studying with Yogi Bhajan in 1971. He is a retired University Instructor at the University of Alaska Anchorage where he taught classes in Kundalini Yoga for 31 years. 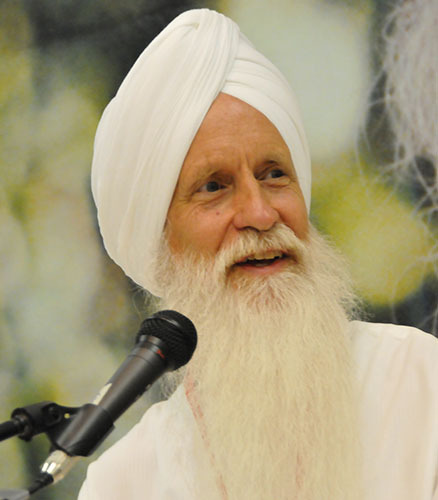 He has authored nineteen best selling videos and four books on Kundalini Yoga as taught by Yogi Bhajan®. (http://www.kundaliniyoga.net) He has also taught classes, workshops and trainings throughout the Americas, Europe and Asia. Currently he is the CEO and President of The Kundalini Research Institute. He is a Yoga Alliance E-RYT 500 certified teacher trainer. He lives with his wife of 40 years, Nirvair Kaur, in Tesuque, New Mexico.